When you notice a person sticking their tongue out at you, I bet you take a step back and wonder what the heck they’re doing. Are they trying to make fun of you? Did they just have a terrible meal? However, while humans are not prone to this sort of rude behavior on a regular basis, cats have a different philosophy when it comes to their tongues. In fact, if you pay close attention to those furry felines around you, you’ll catch a glimpse of that tongue fairly often. But why is that? What makes cats stick their tongues out all the time? Here are a few ideas. Why Do Cats Stick Their Tongues Out? While cats spend up to two-thirds of their day sleeping, they often spend most of their remaining time grooming themselves. And when they do, their tongue is their primary way of doing so. In order to brush their coat and remove various loose hairs, dirt, or other things that get stuck on them, they use the rough surface of their tongues . Thus, in many instances when you notice your kitty’s tongue sticking out, it’s a good bet they are in the middle of grooming, and simply forgot their tongue was still hanging out. Don’t you ever find yourself so relaxed your tongue starts drooping out of your mouth? No? Just me? I mean…wait where was I? If you happen to catch your kitty asleep and notice its tongue is hanging out, there’s no need to worry. In fact, it probably means your cat is very relaxed and happy. Like humans, cats sometimes sleep with their mouths open…it’s just that their tongues have more of a tendency to stick out than ours. Every now and then, your cat will stick its tongue out after getting a taste of something it did not like. No, not like when you feed them a cat food they don’t like; more like when they get a taste of something decidedly, not food . For many kitties who are given topical flea treatments, they sometimes accidentally get a bit of it in their mouths during grooming, which leaves a very bitter taste behind. As a result, they may keep their tongue out for a moment or two and perhaps drool a bit. While in most instances seeing your cat stick out its tongue is nothing to worry about, that is not always the case. In certain situations, it can mean your kitty is having a medical issue that requires treatment. Additionally, your kitty could also be suffering from a lost tooth or one that has been chipped or is decaying. In the worst-case scenario, it is possible your cat may have ingested some type of poisonous substance, such as antifreeze or rat poison. In these situations, take your cat to the veterinarian right away. In certain situations when a cat becomes very stressed, it can sometimes stick out its tongue and pant. If you notice this occurring, try your best to get your kitty calmed down as much as possible by speaking softly to it and petting it if you can. However, if you notice it becoming more stressed, getting weaker, or its tongue appears to be red rather than pink, get to a veterinarian, since this could indicate heatstroke. Like people, your cat can occasionally get something stuck between its teeth. 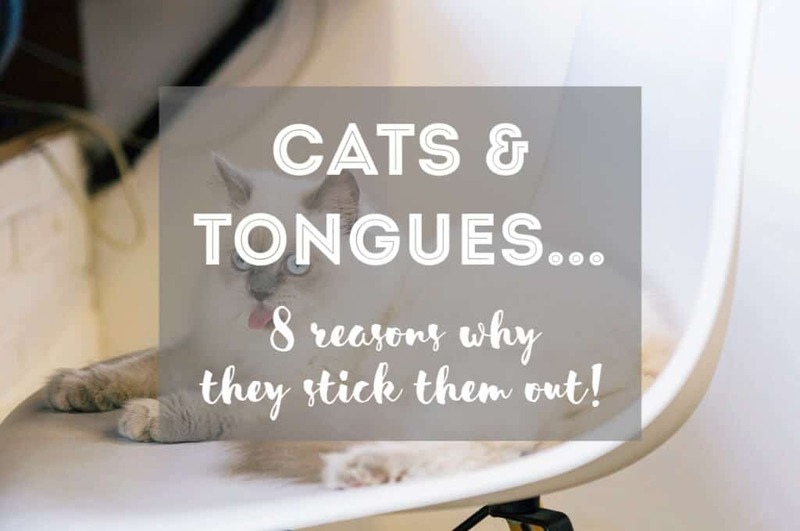 However, unlike humans who can reach for a toothpick, cats instead use their tongues to dislodge hairs, pieces of food, or other things stuck in the teeth. In most cases, your kitty will have no difficulty dislodging whatever is bothering them. In certain breeds of cats, such as Persians, the tip of the tongue will stick out almost all the time. Referred to as tongue-tipping, this is due to the shape of your cat’s face, as well as it having a misaligned bite when closing its mouth. While rarely a problem, it can sometimes affect your cat’s ability to eat, chew, or close its mouth. If this happens, your veterinarian can most likely pull some of the cat’s teeth, which will make the cat’s bite line up more evenly. Just like basketball superstar Michael Jordan used to stick out his tongue before he made a spectacular play, your kitty may be sticking out its tongue because it too is excited about something happening at that particular moment. For example, if you’ve been away from home for a few days, or perhaps return from the store with a new kitty toy, your furry feline may stick its tongue out in the course of being excited to see you. If this happens, consider it to be a true compliment of your kitty’s affection for you. And yes, hurry up and give your kitty its new toy, since a cat’s patience will wear thin, no matter how much they love you. Emily Parker is a cat mom to 2 black cats, Gus and Louis. She researches and writes about natural cat care for Catological.com, where her work helps hundreds of thousands of cat parents every month. When she’s not working, she likes to explore her neighbourhood for new (cat) cafes! Final Thoughts: Why Do Cats Stick Their Tongues Out? We hope you guys enjoyed this guest post by Emily! 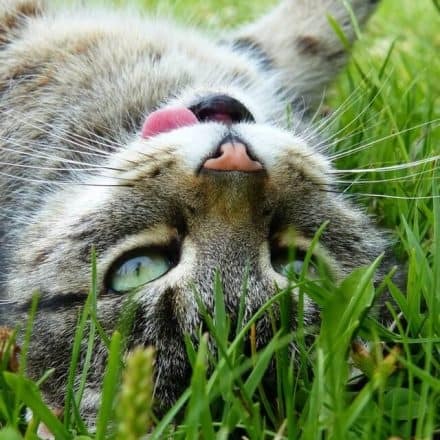 In sum, your cat might be sticking their tongue out for a variety of reasons. Cats sticking their tongue out is normally not of great concern, with a few exceptional cases. What is certain, however, is that we find cats sticking their tongues out to be pretty darn cute! What do you think? Share your cat’s #tongueouttuesday with us! Excessive Thirst in Cats (Polydipsia): What Does It Mean? Hi furiends! 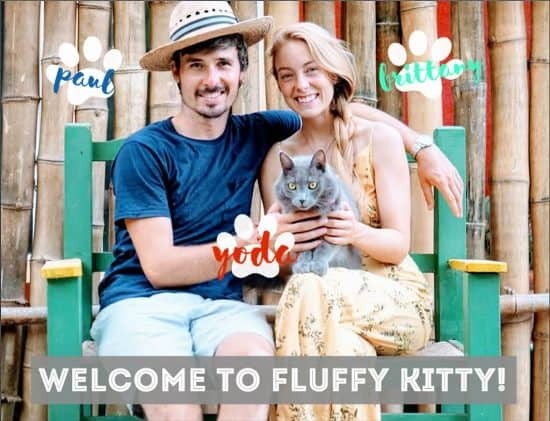 Welcome, and thank you for reading Fluffy Kitty! To learn more about our story, visit us on our about page. We would be happy to hear from you!